Business owners carry a great deal of burden on their shoulders. We’re here to help lighten the load, offering protection for all your business needs. Optisure Risk Partners offers business insurance solutions for every business type and size. Whether you own a one-man or one-woman shop, a small- or medium-sized business, or a larger organization, our insurance solutions keep your business and its assets fully protected. Our experienced insurance staff specializes in helping business owners like you find the right coverage for the business you’ve worked so hard to build. We understand that every business is unique, and so are their insurance needs, which is why we offer everything from basic coverage to package policies, and everything in between. In the aftermath of a hurricane, you and your business will likely have to deal with water damage, flooding, and damaged utilities. Download our hurricane recovery checklist to take steps to keep your business and customers safe after a hurricane passes. Get coverage for everything, all in one policy. Optisure provides businesses owners with the coverage they need. Are you a landlord, contractor or real estate investor? We can protect your unoccupied rental units or otherwise vacant property. If you’re looking for general liability coverage for your commercial or professional organization, we have the policy you need. Are you a carpenter, electrician or other type of contractor? Optisure can protect you while you’re on the job with contractor’s liability insurance. For the ultimate level of protection for your business and its valuable assets, we provide commercial umbrella insurance. To protect your hard-working employees in the event of an on-site accident, Optisure offers worker’s compensation coverage for your staff. Administrative mistakes happen. Our employee benefits liability coverage keeps you protected when they do. Earthquakes and other natural disasters can cause devastating damage to your organization. We can ensure you’re covered if an earthquake strikes. From hurricanes to tornadoes, and other types of windstorms, we can help you find the right wind coverage for your business. For those who need specialized coverage for their business, we provide customized commercial package policies to suit your needs. Sometimes something unexpected can interrupt normal business operations. For coverage while you’re getting things back in order, consider our business interruption insurance. If you sell or distribute products that could cause property damage or personal injury, we offer coverage to keep your business protected. If you’re a builder or developer, we offer coverage to protect you in the event of unexpected events. Technology companies face a unique set of risks associated with data security. We can protect you from serious cyber threats. For protection from dishonest acts by employees including theft, vandalism, fraud and more, we offer crime insurance for your business. To protect your business from damage and related injuries that can occur due to contamination or decay, we provide pollution coverage. Keep your business protected from a financial loss when flooding occurs. We offer a variety of solutions for flood protection. Protect your business assets with commercial property insurance. 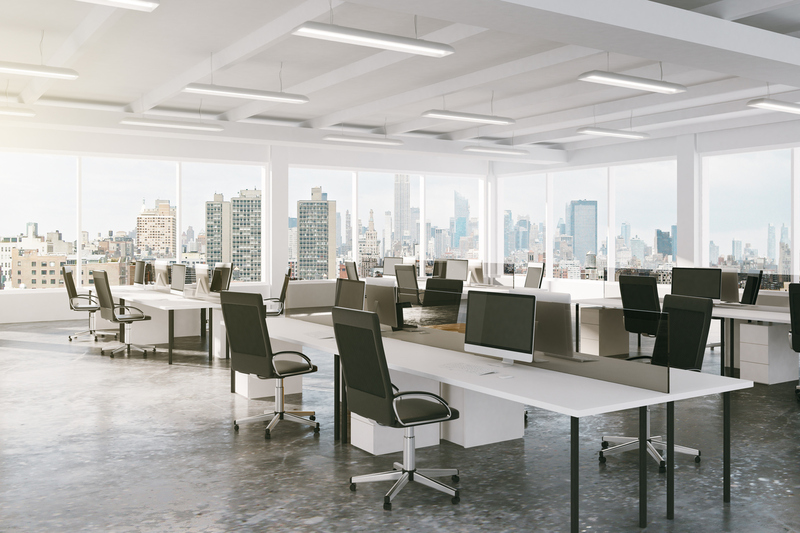 With commercial property insurance coverage, you won’t have to worry about whether your business assets are covered if a loss occurs. Our commercial property insurance solutions keeps your business property protected.